The Weatherization Assistance Program provides assistance to economically disadvantaged individuals, particularly the elderly and disabled, to promote a more comfortable healthy environment, conserve energy and reduce high utility bills. Weatherization programs are funded by several different sources. The Department of Energy and Low Income Home Energy Assistance Program provides funding through the Texas Department of Housing and Community Affairs. 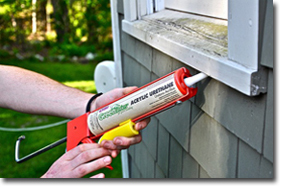 As in all weatherization programs, all assistance is based on eligibility and availability of state and federal funds. All the above items may not apply to every home. The application will not be processed unless it is completely filled out and returned with all necessary documentation. Below is a list of all documentation that must accompany your completed application. Current Texas voter registration card. Children under the age of 16 may use a clinic, doctor, hospital or school record in lieu of a government-issued photo ID. Income documentation for everyone in the household, aged 18 or older, for the thirty days prior to the application submission date. For any household member that receives state and/or government benefits, including child support, food stamps, VA Benefits, or TANF. Include copy of most current electric and gas and/or propane bill (front and back); each bill must have the same address as the application. If weatherization and/or heating and cooling services are requested, we must obtain a completed Landlord agreement (obtained at our office).